2017 was a rollercoaster year for the housing market. 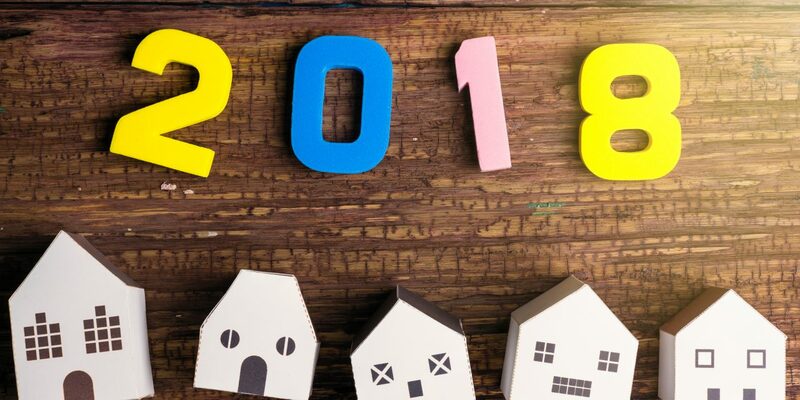 This article looks back on the year’s highlights and provides insight for real estate in 2018. With the shifting of power in Washington, unconventional politics and personalities dominated the 2017 media landscape, lacking substance beyond canceling some existing government oversight. Meanwhile, California flourished at some two continental divides away from the noise. During the Obama years, regulation of the banking and lending industry and progressive policies toward managing immigration helped California shape its economy to become a “national-status” economy — now the sixth largest economy in the world just ahead of France and Italy. Now, as regulations loosen around national banking practices, immigration slows due to constantly heightening deportation rhetoric and the government dismantles the sciences of environment, federal land management, energy, climate and taxation, California and the nation — like two adversarial countries, and economies — are on the brink of divergence. But just which way will the state’s economy swing in 2018? The answer lies in the state’s own legislative agenda and local community performance, tempered by federal changes to the tax code and other changes in the administration’s management of national affairs. a shakedown in the oversight of California’s real estate regulatory agency. local governments to update zoning and undergo planning to make housing production more efficient. To that end, local governments will also be required to streamline their permit approval process and to revamp zoning requirements to allow for greater density, fewer parking restrictions and more affordable housing. Neighborhoods near commuter rail stations will see density increases as they are needed to both house new families and provide alternative transportation options. Money has also been allocated to the CalVet home loan program, subject to voter approval in November 2018. This funding was briefly in jeopardy, as the new tax laws threatened to take away the program’s source of funding (see below). saving the DRE over $4 million annually in unnecessary administration costs. How the savings may be allocated has yet to be announced, but at the top of our list is a better system of contacting the DRE and enhanced automation. Congress recently gained the President’s signature on their new tax bill. The bill included several changes that will affect the approach of buying or renting real estate. increasing the size of the standard deduction to $12,000 for singles and $24,000 for joint filers, making it less advantageous to itemize deductions and take the MID — and making renting more equitable to owning one’s shelter. The impact of these tax changes will be felt in 2018 and the years following, especially for states like California with very high standards of living where property values and governmental services are high. With the changes in MID eligibility and new standard deduction ceilings impacting the deductibility of payments of state income taxes and local property taxes, it will make sense for only 14% of mortgaged homeowners to take the MID. Under the 2017 tax rules, it made sense for 44% of mortgaged homeowners to take the MID, according to Zillow. For example, in Riverside County, under the 2017 law it makes sense for 64% of homeowners to take the MID. Beginning in 2018, it will only make sense for 11% of homeowners to take the MID. In San Diego County, this share decreases from 91% to 41% of homeowners. In Sacramento County, the share will drop from 63% to 9%. A similar drop in MID use will be seen in nearly every corner of the state, a change that will be felt primarily in the pocketbooks of owners of high-tier homes, those with jumbo mortgages. The effect of changes to SALT deductions may have a slight impact on would-be homebuyers who may now choose not to buy since property tax deductions are merged into the standard deduction as otherwise eliminated. This may result in fewer homebuyers. But in reality, the overall effect will be slight to none. Other fiscal decisions closer to home will have a greater impact on demand for and use of housing here in California. 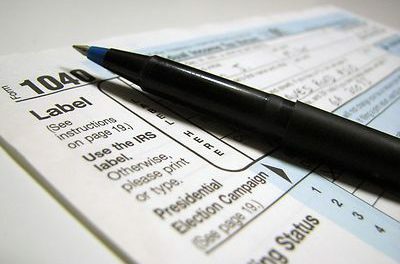 consider the tax changes to pass-through businesses (generally, small business partnerships and limited liability companies (LLCs) that are not directly taxed as the individual owners report and pay taxes rather than corporations), including the addition of a 20% deduction, which phases out for incomes above $315,000 for joint tax returns. All-in-all, these changes may increase demand for income property, pushing prices higher and further reducing capitalization (cap) rates – so long as the current recovery remains ongoing. Editor’s note — See how your household will be impacted by the tax changes by using the Tax Policy Center’s calculator, here. The Federal Reserve (the Fed) has more control over the direction of the economy than any elected politician – though the public typically rewards or penalizes politicians at election time for the direction of the economy. Since December 2015, the Fed has gradually and with growing frequency raised its key interest rate, the Federal Funds rate. This rate is a major benchmark rate for lenders, who use it to set adjustable rate mortgage (ARM) products, business loans, auto loans rates and — to mixed extent due to its actions in response to consumer and asset inflation — fixed rate mortgage (FRM) rates. The Fed uses its benchmark rate as a tool to control the level of inflation and keep the economy from bubbling over or deflating. In theory, higher Fed rates put a damper on investment, pulling back the reins on the economy and driving up savings levels. The Fed is doing what it can as our recovery moves into its advanced stage of maturity to prevent another asset or financial bubble, as occurred during the Millennium Boom, and the devastating effects of the inevitable burst. For real estate, expect gradual increases in mortgage interest rates, which will reduce buyer purchasing power. As homebuyers see more of their monthly payment applying to accrued interest at higher rates, they have less borrowing capacity to fund the purchase price of a home. In other words, they are only able to qualify to fund the purchase of a less expensive home with the same income. Since home values are ultimately determined by the ability and willingness of homebuyers to pay, the impact on home prices in the coming years will be tangible, slowing the economy and of course real estate sales volume. Expect slightly higher FRM rates for most of 2018 and the decades following. Home price increases will likely flatten out in 2018 before moving up again as homebuyers adjust to the new financial and tax liability norm. 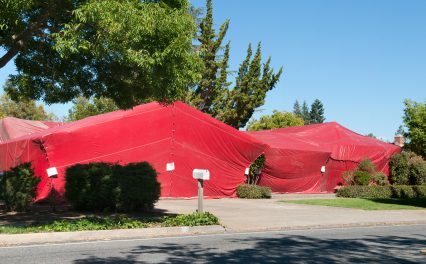 Deregulation of industries influential to the housing market is taking hold at the federal level. Californians last experienced this sort of rollback of protection for consumers and members of the public in the early 1990s – and it took some 20 years to reverse the damage done. 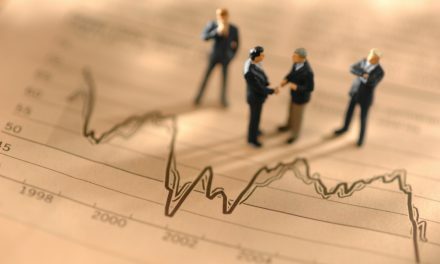 Few changes to the current regulatory framework that were built by the Dodd-Frank Wall Street Reforms and Consumer Protection Act were actually made in 2017. But administratively, the pieces have been put into place for deregulation to occur, specifically at the Consumer Financial Protection Bureau (CFPB) which takes legal action on behalf of consumers against mortgage lending fraud. Following a huge setback with its regulation of binding arbitration agreements, former CFPB director Richard Cordray resigned in November 2017. This opened the door for the President’s anti-regulation pick to head the CFPB, now acting director Mick Mulvaney. It is the stated goal of the administration to rollback much of the consumer protection actions the CFPB has made since its inception in 2011. This “de-fanging” of the CFPB will continue over the coming years, and the results will be quickly put into revised mortgage practice in the lending industry. When deregulation gets rolling, expect to see an increase in sales volume (or acceleration in low-tier home prices) as more risky mortgages and less qualified buyers will be able to participate in the housing market. It will lie increasingly on real estate agents to educate their first-time homebuyer clients in best buying practices. Another side effect will be a withdrawal of residential tenants from the apartment market as they prematurely purchase a home — with a risky mortgage — for their shelter. Immigration continued to heat up as a political and economic topic in 2017, with vocal supporters and opponents on either side of the issues. 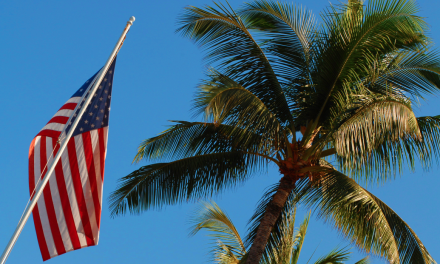 Immigration has explosive ramifications for California’s real estate industry. Recent international immigrants, mostly from Mexico and South and Central America, make up a significant portion of the state’s workforce. The construction, agriculture and hospitality industries are just a few of the places where recent immigrants fill key positions. The tech industry in Silicon Valley with its worldwide scope relies heavily on bright minds from across the globe to get their products right. However, since last year’s election, would-be immigrants who want to be part of California have been hesitant to move to a country where they are clearly unwelcome. Again, part of the new norm to absorb in 2018. Worse, due to the government attitude the number of new lawful permanent residents declined 11% in the third quarter (Q3) of 2017 from a year earlier. Refugee arrivals declined 51% year-over-year in Q3 2017, according to the Department of Homeland Security. Universities and colleges in the central part of the nation are taking a financial hit of huge proportions as foreign students — who pay higher fees — are going elsewhere for their English education, and future lives. As immigration slows, or worse, federal deportation staff raids our communities and businesses, California’s economy will feel negative effects as its long-standing workforce shrinks in key economic sectors — think agriculture, hospitality and eldercare. Foreign students at universities and colleges in California added $5.2 billion to the state’s economy in 2016, and that will continue — because we are California, golden in more ways than one. As we head into 2018, we’re beginning to glimpse the end of the current, long-running recovery. The yield spread, which forecasts economic performance one year ahead, has declined steadily in 2017. As of the first of 2018, the spread is at 1.08%, the result of the long-term bond market seeing less economic growth in the coming months. This yield curve figure, still positive but weakening consistently since 2014, indicates a moderate chance of recession in 2018. For reference, the yield spread was over 3% in 2004, swiftly declining over the next two years, bottoming below zero in late 2006, thus predicting a 40% chance of a recession by end of 2007 – which occurred. Our current course has us set for a brief recession towards the end of this decade, likely in 2020. More immediate than the inevitable recession, higher interest rates will cause a slight downturn in 2018’s housing market. Until now, the cautious bond market has held mortgage rates from rising too much, but this intervention will end in 2018 as global markets continue to stabilize, drawing investors in U.S. dollar-denominated assets back to their home countries. When interest rates rise, home sales volume slows and prices soon fall back. Home sales have already suffered in 2017 due to a lack of inventory for sale, which has also and paradoxically propped up home prices. Higher interest rates won’t do much to impact inventory, but will pull back demand from homebuyers as they quickly realize they qualify for less house with the same incomes. Once sellers understand and adjust prices, homebuyer demand will return. Homebuyer demand will likely peak around 2020-2021, and extend well into the following recession, unlike the prior peak in 2006 after which homebuyer demand collapsed. The current generation of first-time homebuyers, Generation Y, has been slow to become established in their careers and build up savings, a remnant of the 2008 recession. But today’s jobs recovery points to the first-time homebuyer population swelling in the next couple of years. Meanwhile, Baby Boomers are retiring every day, selling and relocating — often near their children in the coastal cities of California, or otherwise to less costly environments, like neighboring states Arizona and Nevada. As retirees and first-time homebuyers converge on the market in the next two-to-three years, the peak in home sales and prices will result. 2018 will be a brief slowdown, but the return will be swift continuing the bumpy plateau recovery, propelled by excessive demand and fast improving demographics.